Curious about what is beyond the gates? Come see the home that will set the stage for the lifestyle you desire. Located in the prestigious, private gated community of The Ranch at Sky Mesa . 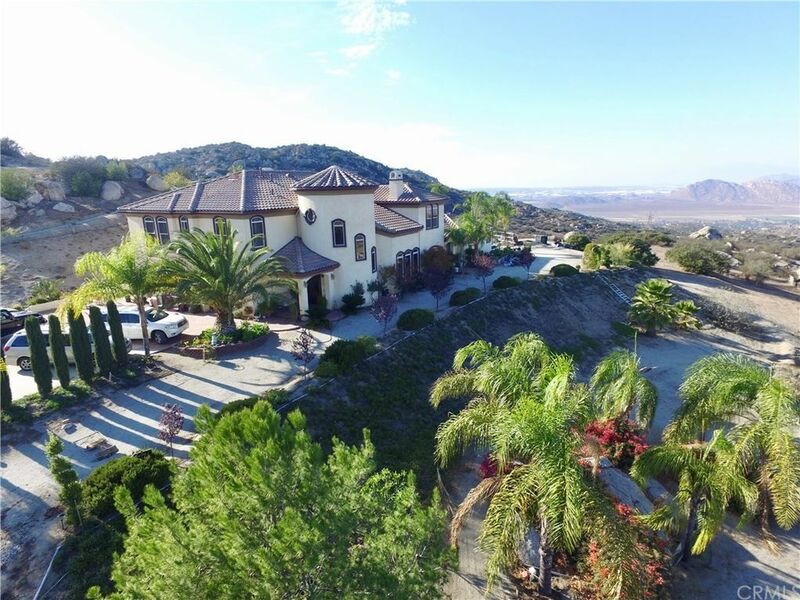 This one-owner, 6 acre, custom estate is perfectly situated on top of a Commanding View parcel. Built with forever in mind. Craftsmanship shows in every detail of beauty and functionality with a highly practical floor-plan. The main house at 3, 789 sq. ft. boasts 5 bedrooms, 1 down, 4 up. 4 bathrooms, 1 down and 3 up. First floor features a grand entrance into the living room with wet bar and pass through fireplace to formal dining room, guest bedroom, guest bath, laundry, and family room. A chef's kitchen featuring upgraded appliances, dual sinks and walk-in pantry. Impeccable hand crafted ironwork graces the impressive curved stairway. A welcome invitation to the 2nd floor. This includes landing/gathering area, laundry room & private office. Step out onto a sunset balcony from your master suite to enjoy city lights below and stars above. The detached 500 sq. ft. guest house is a 1 bed/bath unit with full kitchen & private entrance. Entertain guests in your courtyard with outdoor kitchen. At 2500' elevation, high above Nuevo and Menifee Valley's, this secure, gated, 77 lot community is a superb location. Minutes away from shopping, entertainment, schools, dining & more. Feels like a million miles away with quiet, peaceful serenity. Call now to make an appointment to meet your new home. Directions: From I215 take Hwy 74 East, Left/North on Juniper Flats Road, Left at Sky Mesa Road, Through Main Gate to the property on the left.